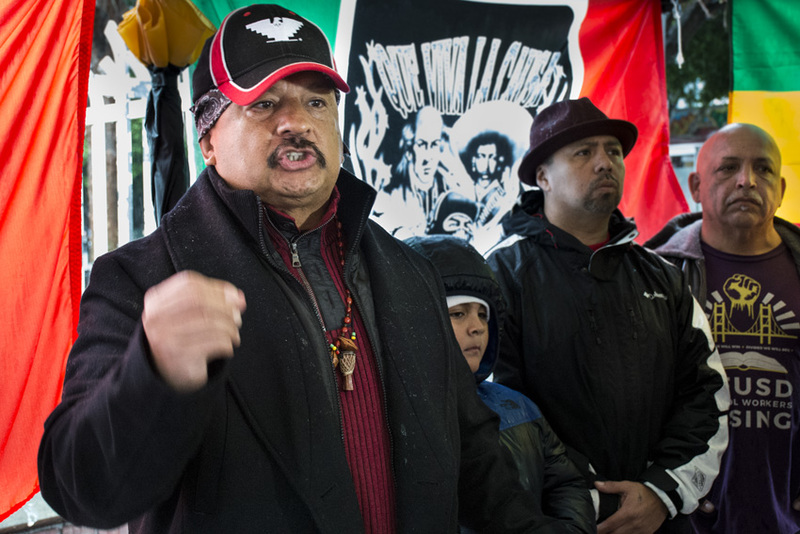 A Mission District coalition of activist organizations calling itself the “Coalición Primero de Mayo,” or the May 1 Coalition marked Presidents’ Day by announcing its plans for another Day Without Immigrants on May 1. The day will also include a march. The coalition called on supporters to resist by not attending work, going to work, or doing any shopping. Dozens of businesses along the Mission’s 24th Street corridor closed on February 16 to show solidarity with immigrants in a time of increased political hostility toward them under the new federal administration. The first day of May, on which many recognize International Worker’s Day, often sees protests around worker’s rights. The coalition intends to garner support for another day of immigrant absence and to march from Justin Herman Plaza to Civic Center. “The movement will continue and it will grow and it will show this government and the corporations who really has the power,” said Gloria La Riva of the ANSWER coalition. La Riva pointed out Trump’s apparently impending efforts to expand the categories of immigrants that can be found deportable. Mission organizer Roberto Hernandez said the coalition announced the action more than two months in advance to allow for thorough preparation efforts. He described the May 1 actions as a continuation of marches that occurred around the country in 2006 that focused on immigrant workers in the United States. During that time, he said, the Obama Administration deported more undocumented immigrants than any other administration. “Had they done something about immigration reform…we would not be facing what we’re facing,” he said.